Installed new lights at work over the weekend. Sort of feels like they’re burning my shadow into my desk. Or it’s stealing my soul. Of course I had to make another trip back in #karmarecordsofwarsaw yesterday afternoon and snag @tangerinedreamq Le Parc. One of their best from the 80s. Wrote a piece about revisiting the Nightmare flicks with my son. Read it if you want. Or don’t. Your call. Link in bio. I love whims. They seem to reciprocate some of the best finds. On a whim, I picked up Breakfast of Champions at 15 years old and discovered one of the greatest writers in my time or any other time. On a whim I went on a blind date when I was 17 and found the girl I’d end up marrying and making cute kids with. On a whim I mixed chocolate and peanut butter and created one of the most revered confections in the history of confections. Wait a minute. That last one wasn’t my whim. It was H. B. Reese’s whim. But still, you get what I’m saying. Whims are what make life so much fun. Awhile back, on a whim I clicked on an interesting picture that popped up in my social network feed. It was a movie poster for a film called Beyond The Black Rainbow. It was this strange little Canadian sci fi flick that came out back in 2010 about some institute that helped promote enlightenment through natural pharmaceuticals and other means that would ultimately turn out horribly. It was made to look like one of those classic, colorful b-movies you’d find on the back wall of your local video store back in 1983. This intrigued me. Once I saw that the soundtrack was being issued on vinyl by Death Waltz Recording Company(UK) and Jagjaguwar(US) my interest peaked further. The soundtrack was done by a band called Sinoia Caves, which is really just one guy named Jeremy Schmidt. He’s in the Canadian prog band Black Mountain and is their keyboardist. His work as Sinoia Caves is heavy synth workouts that are about creating dark moods and atmosphere. When I listened to the first song from his soundtrack, “Forever Dilating Eye”, I was floored. Heavily influenced by Phaedra-era Tangerine Dream, and John Carpenter’s synth scores, this music grabbed me by the lapels and shook the crap out of me. Well the soundtrack arrived last Saturday and it’s barely left my turntable. I’m not sure how to properly describe this album. It is the perfect score for a film like Beyond The Black Rainbow. BTBR isn’t a movie that runs on plot, dialogue, romance, and action sequences. It’s the kind of movie that gives you as little as it can, story-wise. It throws you in the midst of this existential madness. Best intentions turned to black sludge. What it doesn’t reveal in words it makes up for it in visuals. The film has a grainy quality to it, giving it the feel of an aged b-movie classic. Something you’d often see sitting on the shelf at Video World, Video Plus, or Broadway Video back in the early 80s. You’d walk by it with its colorful and strange cover. A girl sitting limp in a white plastic chair, her hair covering her face so as not to reveal what she is. Is she alive or dead? The colors invite you to grab the box, but you don’t. Sinoia Caves recreate beautifully the visuals that overwhelm you as you watch the film. His analog synths create a feeling dread, yet also a distant pulse. Underneath the decay of a man’s once good intentions there lies the heartbeat of this girl. A girl forced to succumb to the will of another through narcotics and mind games. And as Schmidt’s synths create these walls of sonic doom there is still a humanity in there. Songs like the aforementioned “Forever Dilating Eye”, “Elena’s Sound World”, and “Run Program: Sentionauts” work as aural set pieces. They’re not just mood music. They truly help carry the film into the visual high points it reaches many times. “1966: Let The New Age Of Enlightenment Begin” is 16-minutes of bubbling dread and synth-y goodness. It’s truly a mesmerizing piece of music. As a soundtrack this album helps to establish the cold, neo-futuristic vision the filmmaker was going for, and then some. As a standalone album it’s a masterpiece in analog synth-driven music. 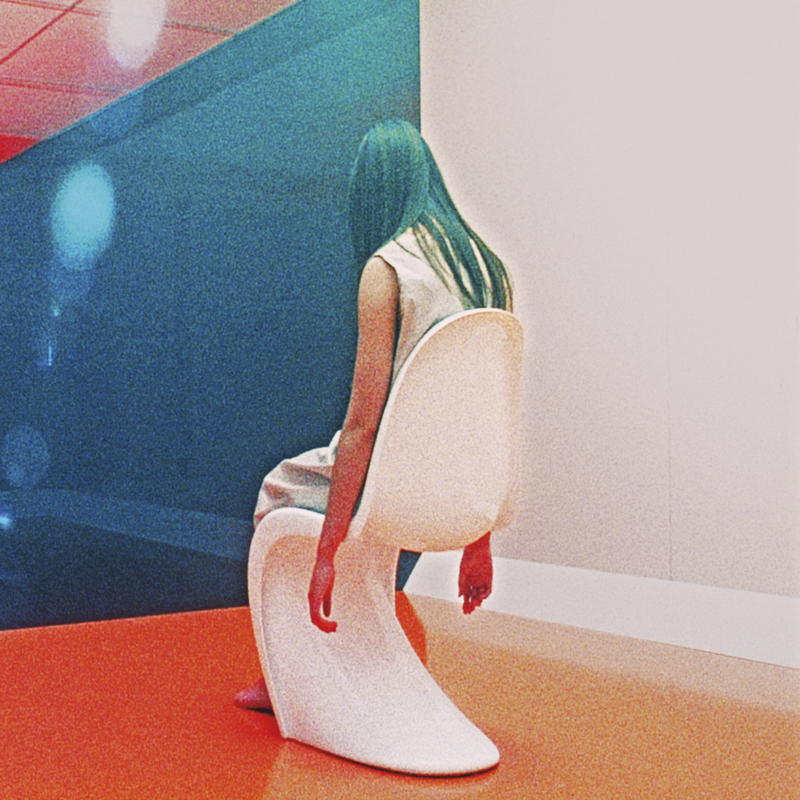 Sinoia Caves’ Beyond The Black Rainbow Soundtrack stands up to the best: Tangerine Dream, John Carpenter, and the film scores of Walter Rizzati, Vangelis, Wendy Carlos, and Cliff Martinez. It also elicits those warm fuzzy feelings that Boards of Canada like to make us 80s latchkey kids feel. This is an album dreams(and nightmares) are made of. like all the best reviews, yours makes me want to hear more (and maybe see more). think i’ll dig out klaus schulze’s “x” to continue the mood. Now I need to look up Klaus Schulze’s solo work. You won’t be disappointed in either. I could have posted a full review on just the film alone, but I thought I’d start with the soundtrack first. Absolutely brilliant, the whole way around. If you happen across a copy of the S/T, I’d love to know your thoughts on it. Would definitely grab it if encountered. Have been thinking for a while of trying to frame a Schulze post. It’s such a massive catalogue. If you do go for the Schulze post, “Klaus Encounters” is a must. I listened to ‘Timewind’ and at bit of “Friedrich Nietzsche” this morning. Great stuff. Right up your alley, fella.